3 hours daily cleaning included except Sundays. 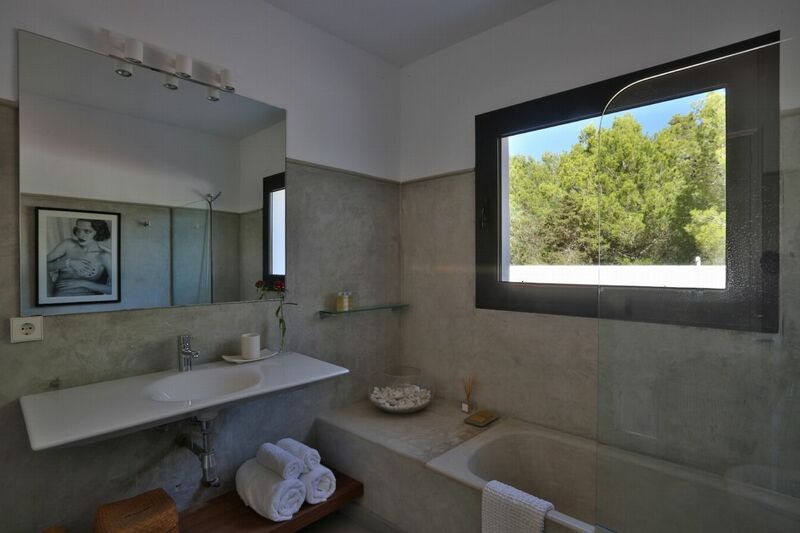 Designed by a renowned Spanish architect, Las Palomas nestles amongst scented pine and eucalyptus forest between Sant Josep de sa Talaia and Cala Tarida. 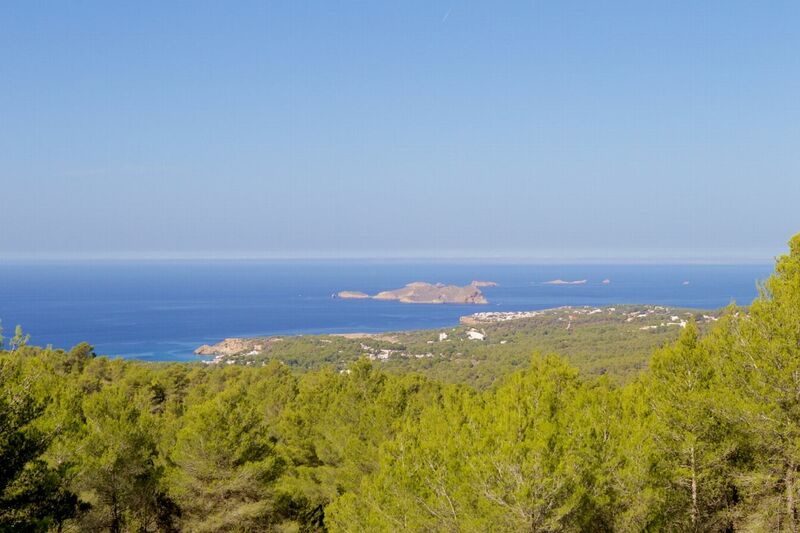 The beautiful beaches of Cala Tarida, Cala Moli or Cala Vadella are only a short distance away and excellent restaurants serving fresh seafood are nearby. 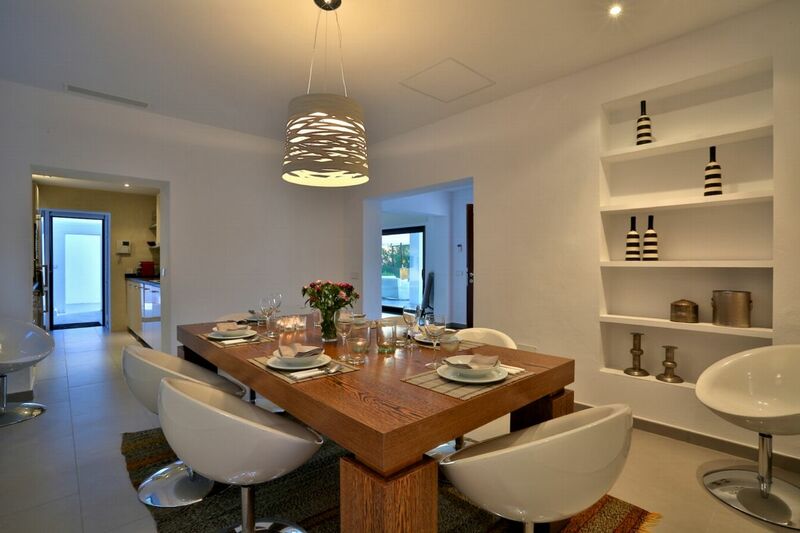 The rounded edges of Las Palomasâ€™s whitewashed stucco walls soften the appearance of this contemporary Ibizan villa. 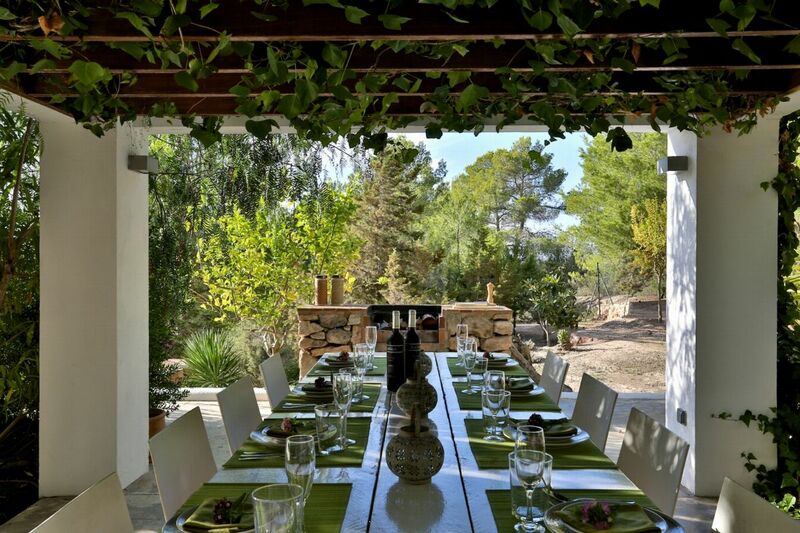 Contemporary chic, generous outdoor living spaces, a beautiful pool with stunning sea views and an idyllic location combine to make Las Palomas a fantastic Ibizan rental. The terraces around the 8m x 6m infinity pool are oriented towards the sunset, with views across the sparkling Mediterranean waters to the islands of Conillera, Sâ€™Espartar and Es VedrÃ¡. 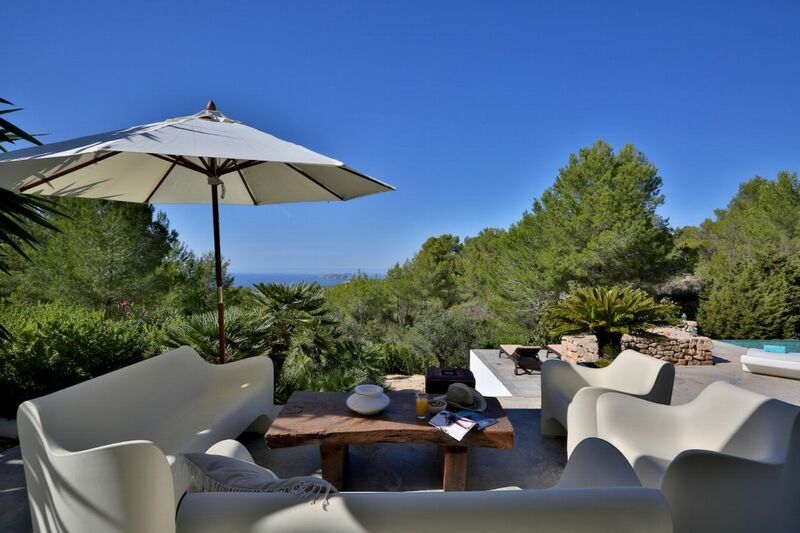 Cascading levels of terraces offer a variety of chill-out spaces where you can soak up the glorious Ibizan sunshine. 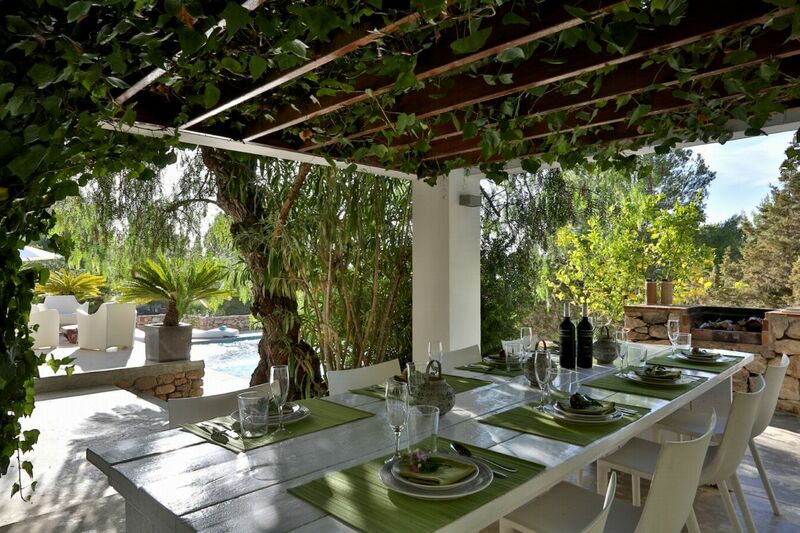 On the upper layer of terrace, vines twist through a shaded pergola to create a cool outside dining space and barbeque area. 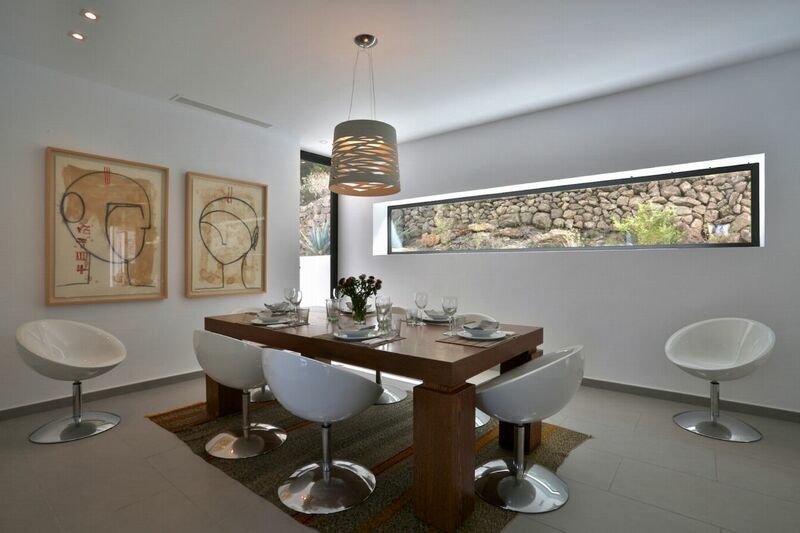 The cool white styling and oversized seating of the outside spaces continues inside, where contemporary high-end fittings create a luxurious minimalism throughout the lounge, formal dining area and sleek kitchen. 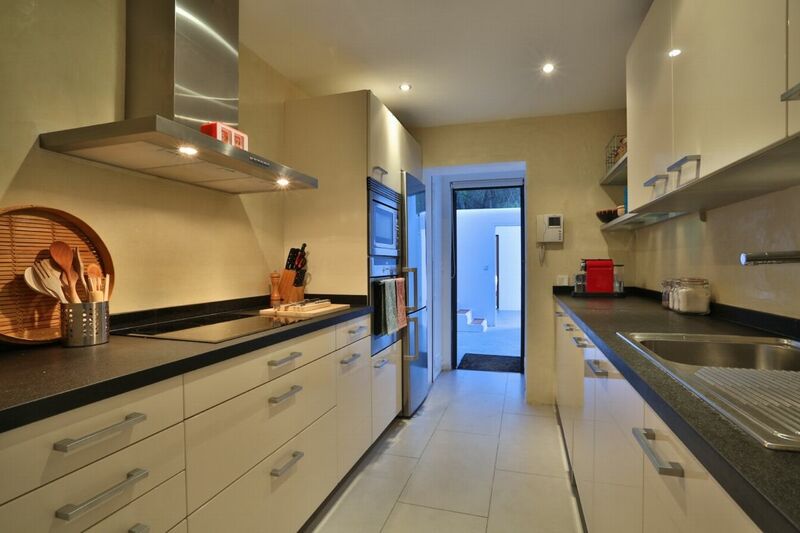 On the ground floor, two double bedrooms enjoy beautiful sea or garden views. 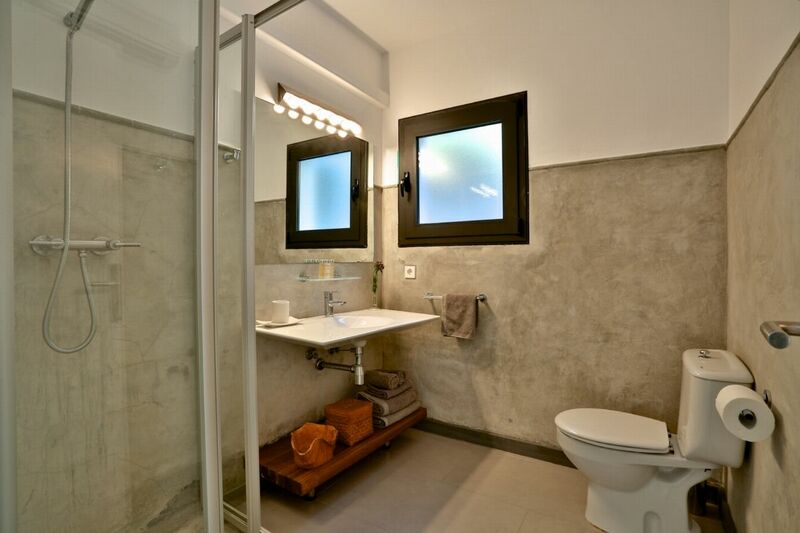 The two doubles have en-suites with walk-in showers. There are a further two master suites â€“ one located in a separate building at ground-floor level, and the other occupying the top floor of the house and accessed via an external staircase. 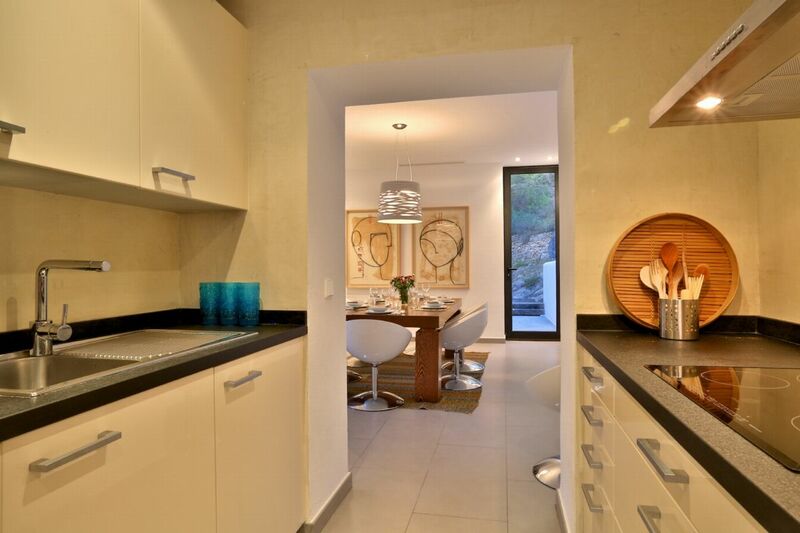 The ground-level suite has sliding doors with access to the pool and terrace area. 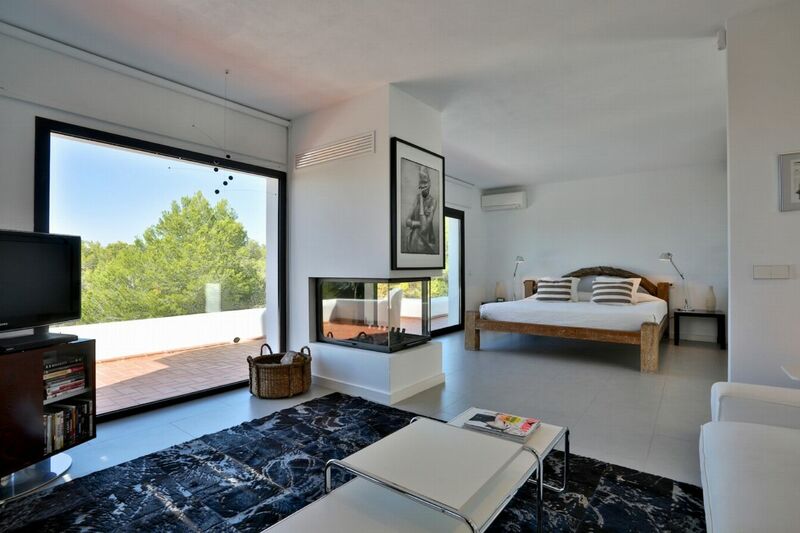 On the upper-floor, the suite has its own living room with fireplace and a private rooftop terrace as well as an en-suite with polished cement stone bathtub. A stylish villa with beautiful sea and sunset views. 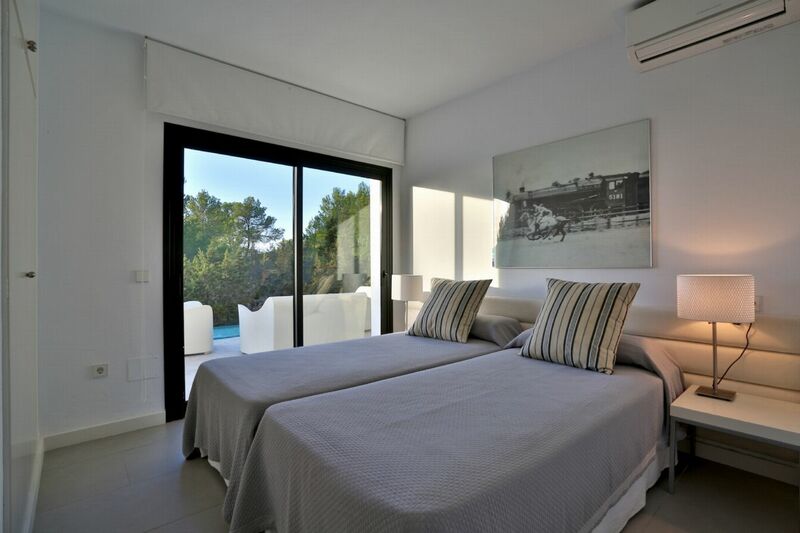 Queen size bed, sea views, en-suite bathroom with walk in shower. Queen size bed, sea views, separate bathroom with walk in shower. Suite One - Located upstairs accessed from an outdoor staircase. 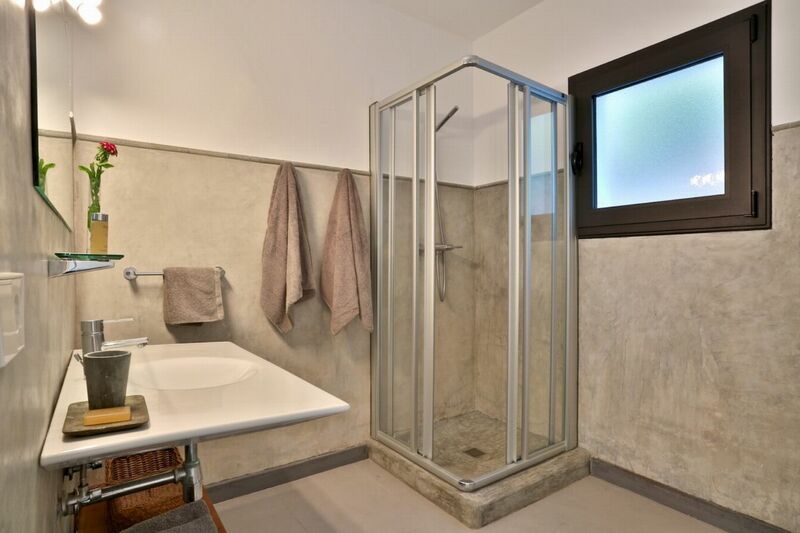 It boasts a large bathroom with a cement stone tub. 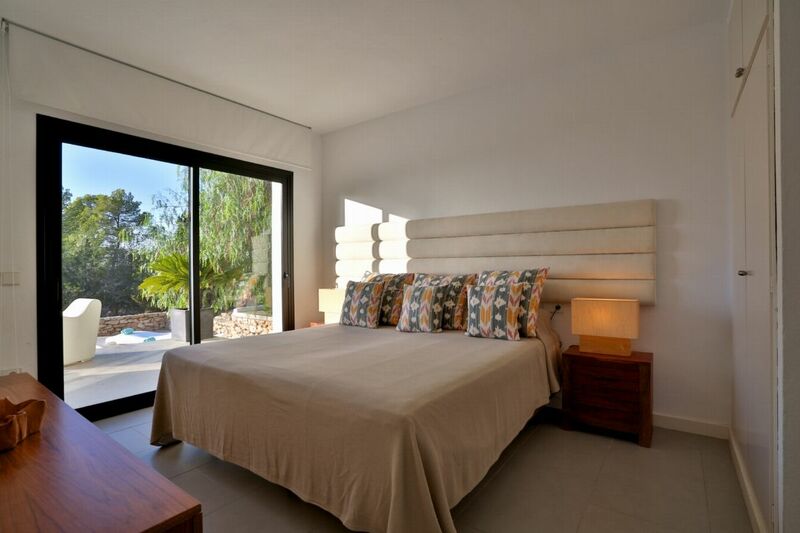 The double bedroom is equipped with a king size bed and its own living room with fireplace. 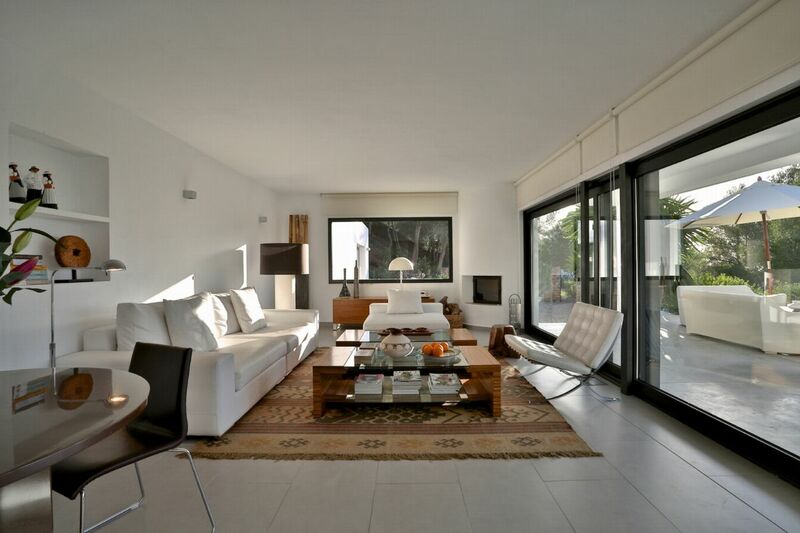 Two large glass windows with sea views open up to a private rooftop terrace equipped with table and chairs and 2 sun loungers. Suite Two - Located on the ground level in a separate building. 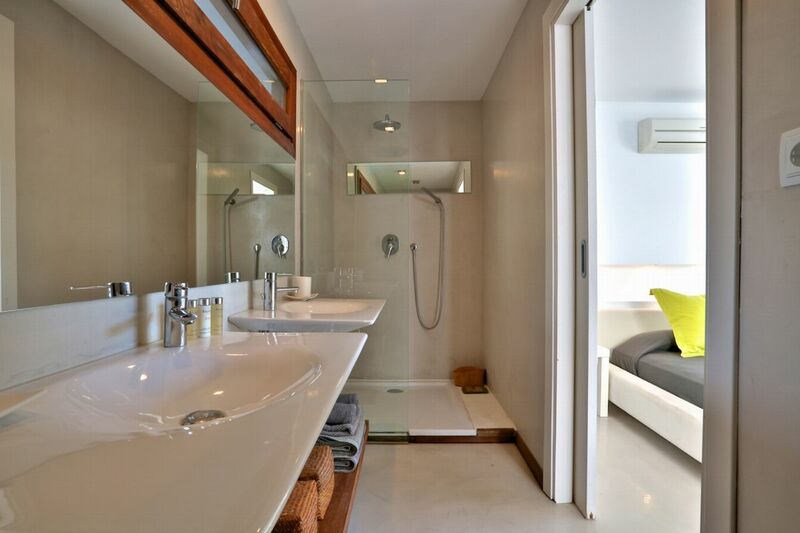 It contains a king size bed and en-suite bathroom with walk in shower. This room is accessed through its own private door or large glass sliding doors leading out to the pool and chill out area.